Viber, one of the many messaging apps out there, has just announced a world's first, which we can't really verify. 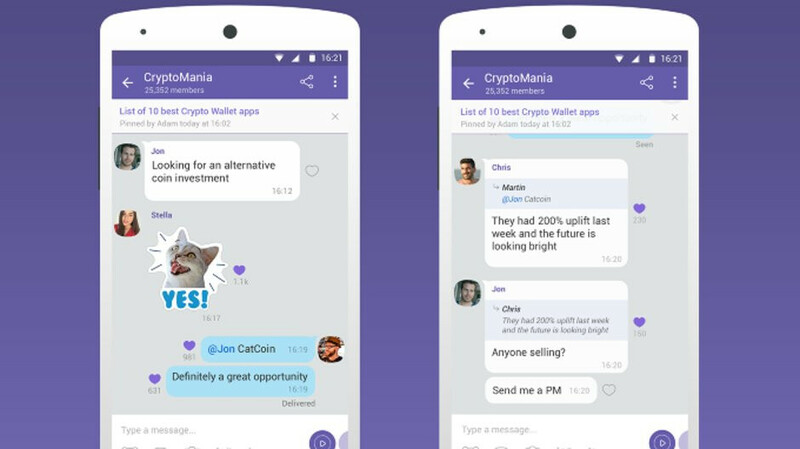 With the introduction of Viber Communities, the messaging app becomes the first in the world to offer chat space where up to 1 billion users can exchange messages. We're not sure how a room with 1 billion users would be readable, but the feature is there if someone for some reason needs it. Viber also announced that it will introduce new monetization features to allow Community owners to gain revenue as they grow their groups. Unlimited members: Communities are only limited to the amount of Viber users - one billion. One tap joining: New members can join public communities by simply tapping on a link. Entire chat history: Every new Community member will see the entire chat history when they join. Pinned messages: Group admins can pin a message at the top of the chat for everyone to see. There are already many Viber Communities up and running, including the digital content-lending service OverDrive that uses it to manage local book clubs run by public libraries across the United States. If you own an Android or iOS device, the new Viber Communities should already be available in the latest version of the messaging app. I wish they rather improved their UI to use space more efficiently and removed the ads (this is mostly related to desktop app). Did it even have 1 Billion "active users"?